Charles Martin, 'Le Madras Jaune', Gazette du bon ton, January 1920. Pochoir print. 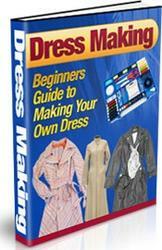 CSM Archive. Martin combines the romantic appeal of distant shores with a totally modern interpretation. A silk turban for evening wear is inspired by those worn in Martinique. Raoul Duty, Title page, 'Croquis de Modes', Gazette du bon ton, February 1920. CSM Archive. 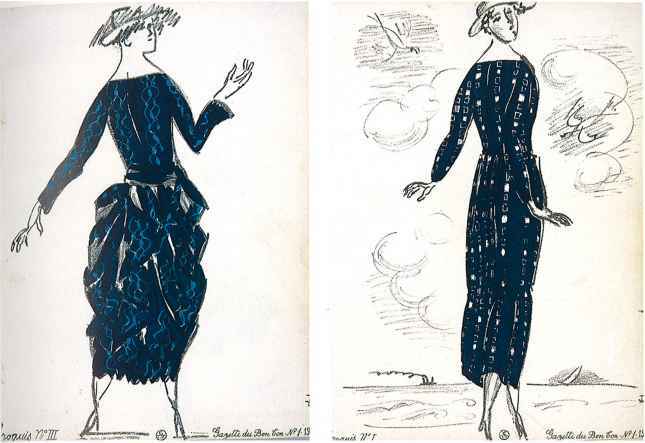 Duty's early career as an illustrator and textile designer began with Poiret in 1911. Shortly after, he became art director for the Lyons silk firm Bianchini-Ferier, for which Iribe and Martin also designed. Raoul Dufy, Croquis from Gazette du bon ton, February 1920. Pochoir print. CSM Archive. 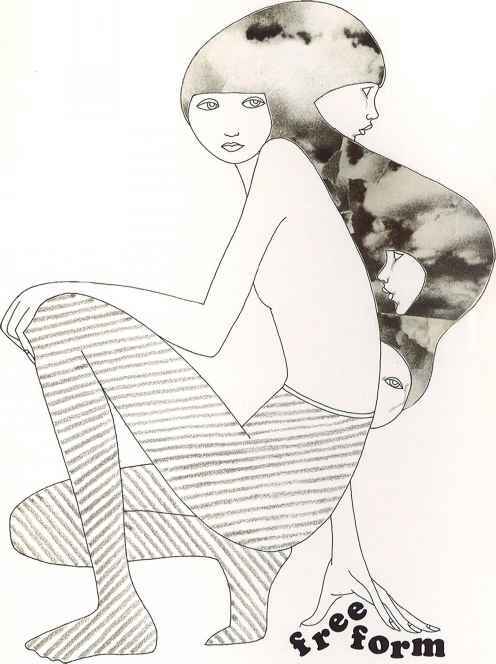 The distinction between artist and fashion designer is blurred in Duty's sketches for textile manufacturer Bianchini-Férier. Pierre Mourgue, Cover of Monsieur, October 1921. Colour lithograph. Courtesy The Stapleton Collection. 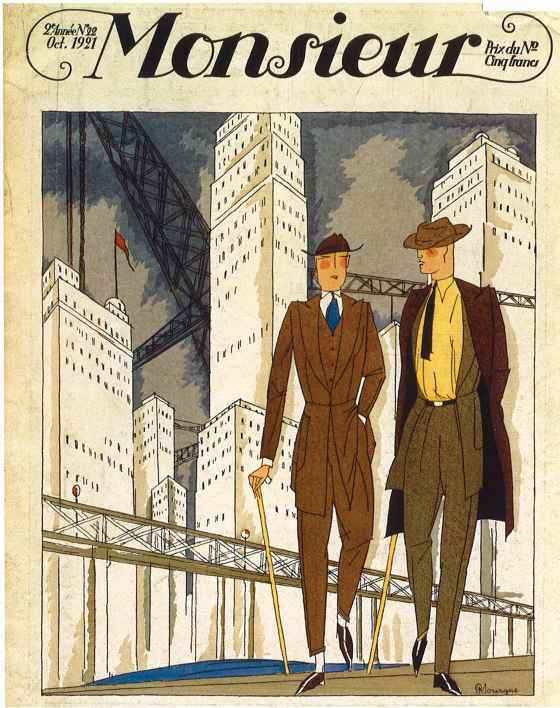 Mourgue underlines the urbanity of the menswear in his cover illustration by setting the figures against a background of skyscrapers. He frequently travelled to New York and went on to work for American Vogue, for whom he did numerous covers.